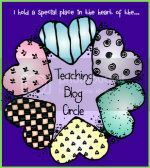 Again today, going back to some of my first blog posts and loving them! I love having a picture record of some of the stuff I did in previous years (and sometimes forget about!) Eek! 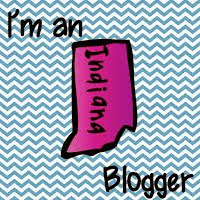 Did you read my fun fact about my blog yesterday? How I started it? In this workstation, I change out the selection of books weekly. (I try to choose a fairly equal amount of fiction and non-fiction books for the station.) I put the selection of 10-12 books in the workstation basket and two "header" cards labeled FICTION and NON-FICTION. 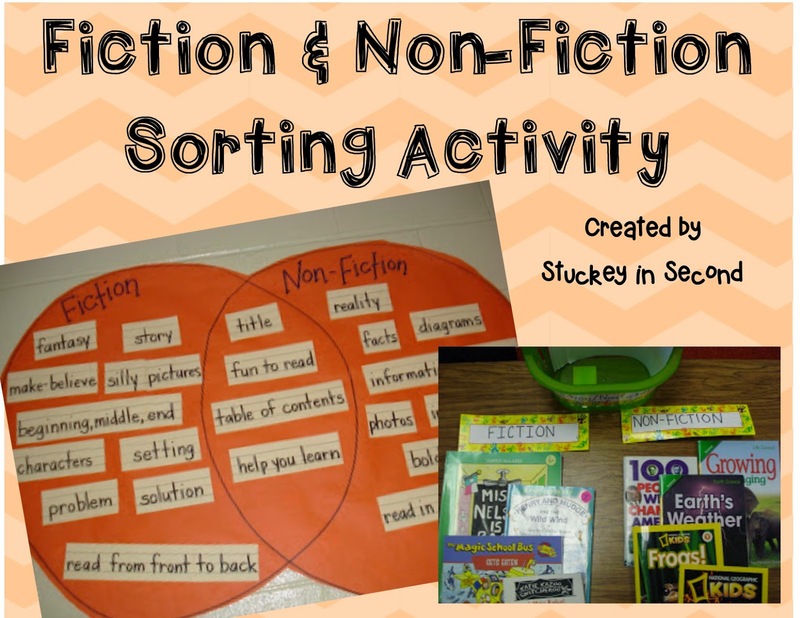 Sort all of the books under each header by looking through each book and using it's characteristics at a glance to determine if the book is fiction or non-fiction. Students shouldn't have to actually read the book in its entirety to determine this. Choose one book from each genre (one from fiction, one from non-fiction) that they'd like to investigate further. Create your own chart like the one above quick and easy! 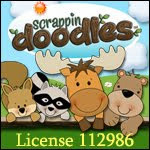 Click on the picture below for a freebie! Please, please leave feedback if you download it! I appreciate all of your support! !